Any glance at network news reveals the tempest of troubles in today’s world. In nature we see earthquakes, drought, floods, tsunamis, hurricanes, volcanic eruptions, and wild fires. It seems like God is trying to get our attention – and not succeeding very well. In human affairs, we view stories about the War on Terrorism, Civil Wars, Arab Spring, diplomatic disputes, the fight over ObamaCare, problems with the Federal Budget, IRS targeting groups, Identity theft and cybercrime, NSA spying, drive-by shootings, and corruption. When we read the first verse of Isaiah 6, which sets the scene for the prophet’s encounter with God in the year that King Uzziah died, this event that happened 2700 years ago hardly seems relevant to today. But it is. 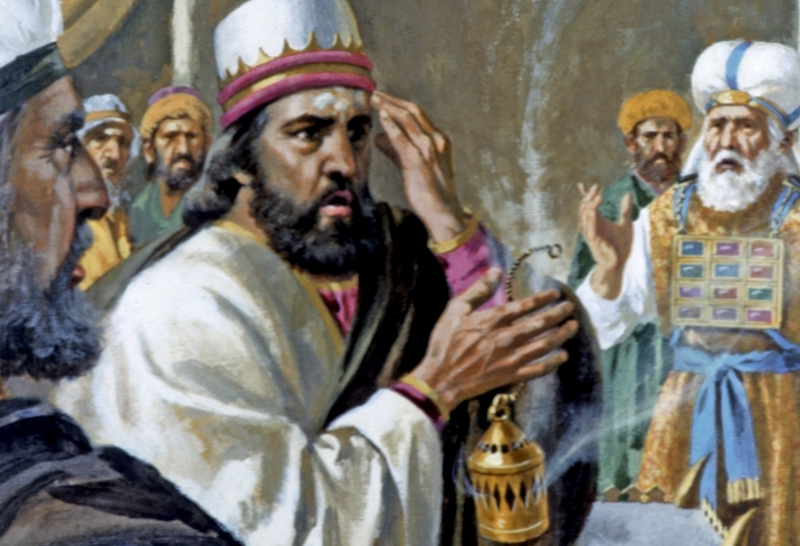 King Uzziah, also known as Azariah, ruled the kingdom of Judah during a time of unrest. His country, and the neighboring kingdom of Israel to the north, suffered great troubles during the approximately 50 years he ruled. Conflict in the Middle East was strong then as now, with countries and factions vying for power and control. On the domestic front, both kingdoms turned from God and worshiped other gods. Social injustice abounded from corrupt rulers, no justice in the courts, and abuse of the poor by the rich. God’s prophets preached that judgment would come if the two nations did not repent, return to Him, and reform. Unfortunately, they ignored the warnings. The northern kingdom of Israel was conquered by the Assyrians in 722 BC and the survivors sent into slavery in other lands. The southern kingdom of Judah lasted a while longer, but with uneven rule. The political, moral and spiritual climate of that day seems to parallel our present position. This short phrase not only sets the scene for Isaiah’s encounter with God, presented in the next few verses, but also gives guidance when we take a closer look at the historical background. Leadership is important. Kings and presidents steer the affairs of their country and often set the moral tone for society. Uzziah failed to remove the places of idol worship in his land, and arrogantly defied God’s commands. The consequences were severe for him personally, and continued the downward spiritual spiral of his people. He could have chosen to lead them back to God instead. We need to pick our leaders carefully and pray that they follow God’s will and not yield to their own pride. The Holy Bible: English Standard Version. (2001). (Is 6:1). Wheaton: Standard Bible Society.